akaaka is a Brazilian DJ and producer named Lucas. Born and raised in the São Paulo interior, it&apos;s influenced early in 2005 by the internet genres sub-culture and the widely research among global electronic bass music. 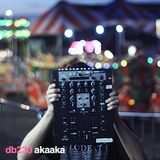 Dubstep and Future Garage, along with the Purple and Wonky sounds of artists like Rustie and Joker, fusingo into a juke and club sororities that are all felt in akaaka&apos;s singles and EPs. Being active in the São Paulo scene and played as a DJ in other cities and states like Curitiba, Rio de Janeiro and Bahia, getting along with the Brazilian Bass Music Scene. His releases can be heard into labels from friends and partners like LKHP, Zambi, the Beatwise sub-label and FLUXXX, underground electronic label.